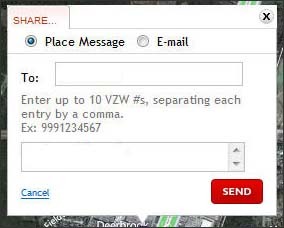 To share a Favorite or Recent Search via a text message or email sent from the VZ Navigator website, view this info. 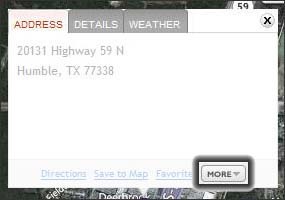 Navigate to Manage VZ Navigator online in My Verizon. Alternatively, navigate: My Verizon > Support > Get Help With Your > Services & Apps > VZ Navigator > Manage VZ Navigator online in My Verizon (located in the Related Links section). 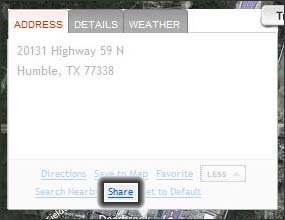 From the Favorites tab, click a favorite. 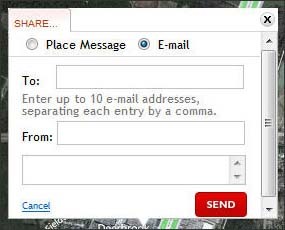 Enter a Verizon Wireless 10-digit phone number and enter a text message (if desired) then click Send. Place Messages can only be sent to Verizon Wireless numbers. 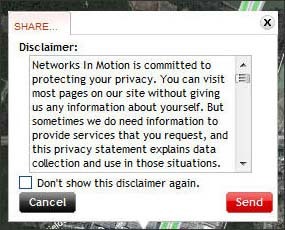 If prompted, read the Disclaimer then click Send. 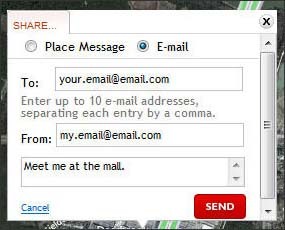 Enter an email address and enter a message (if desired) then click Send.